Asbestos is a highly toxic substance used in nearly every aspect of production during the industrial revolution. In many cases, it was used because of its ability to withstand heat, fire, electricity, and caustic chemicals. In other cases, it was used because of its ability to form incredibly strong chemical bonds. As one might expect, this makes it seem perfect as a bonding agent, and the ability to resist fire and heat was considered an added bonus. Binders such as gun plastic cement and drywall compound were very heavily used in the building trades, including residential, commercial, and even industrial buildings. For example, even today in the construction industry, gun plastic cement is heavily used when installing drywall and joint compounds. Some companies would just make what is called plastic cement and the workers turn it into a product called gun plastic cement by adding industrial grade asbestos. Gun plastic cement was preferable to non gun plastic cement because the asbestos fibers make it have a stronger bond, and as the hose on the gun gets lubricated the process becomes easier to spread on wallboards. According to a recent news article form the Business Insurance Journal, workers’ compensation is the only remedy available for workers who were injured or killed as a result of occupational exposure to asbestos. In a typical case, the victim, or more likely the victim’s family, will speak to an attorney about filing a civil action lawsuit against the maker of the asbestos and the company responsible for the manufacture of asbestos and any company that contributed to plaintiff becoming sick. However, when asbestos is a result of an on-the-job injury, as it often is, the only way some victims can collect is under the workers’ compensation statute, which can pay for lost wages, past medical expenses, future medical expenses, and, in the case of a fatal on-the-job injury, workers’ compensation benefits can pay for funeral expenses. The reason workers’ compensation is the only place to turn for employees who are injured or become sick on the job is because of the exclusive remedy doctrine, which makes workers’ compensation the only source of recovery for on-the-job injuries. 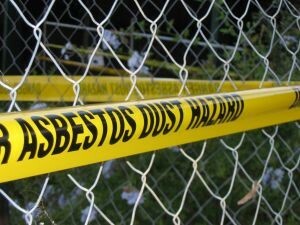 However, in the case of the on-the-job injuries involving asbestos, the employee with mesothelioma or his or family may have to file a workers’ compensation claim, but could also file a claim against the manufacture of the asbestos if not the same entity as the employer. For anyone other than asbestos mine workers, this might not be a problem. Since the manufacturer of the deadly asbestos products likely knew of the dangers and kept that information from the employee, the company may be liable for punitive damages. Filing such third-party suits is often necessary because mesothelioma does not manifest until a decade or longer after the employee has retired. For those still employed, one of the best things you can do is speak with a Boston workers’ compensation attorney who is familiar with mesothelioma litigation.